The Fat Bike World Championships are coming up fast. 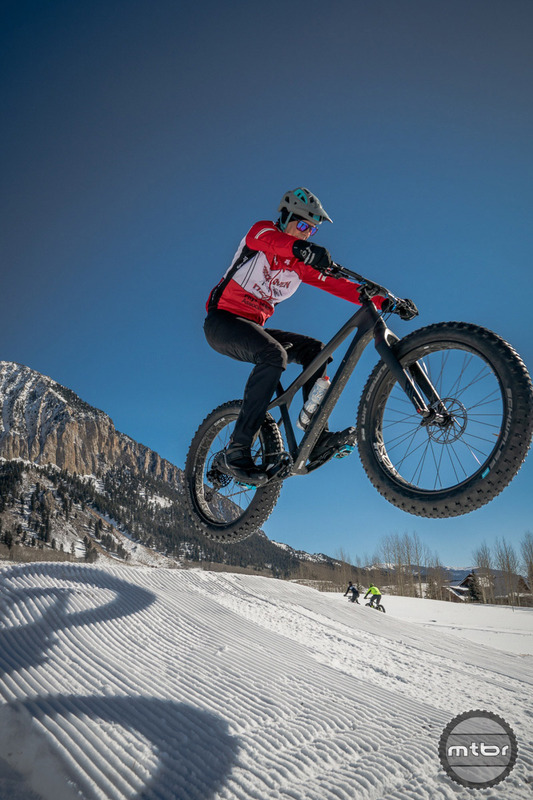 As usual, this now fourth annual bacchanal of all things fat bikes will go down in Crested Butte, Colorado, which has been getting hammered by the snow gods so far this year. Event dates are January 23-27, with the actual world championship race slated for Saturday. Top names in attendance will include former cross-country mountain bike Olympians Todd Wells and Travis Brown, as well as previous Fat Bike Worlds race winner Amy Beisel. 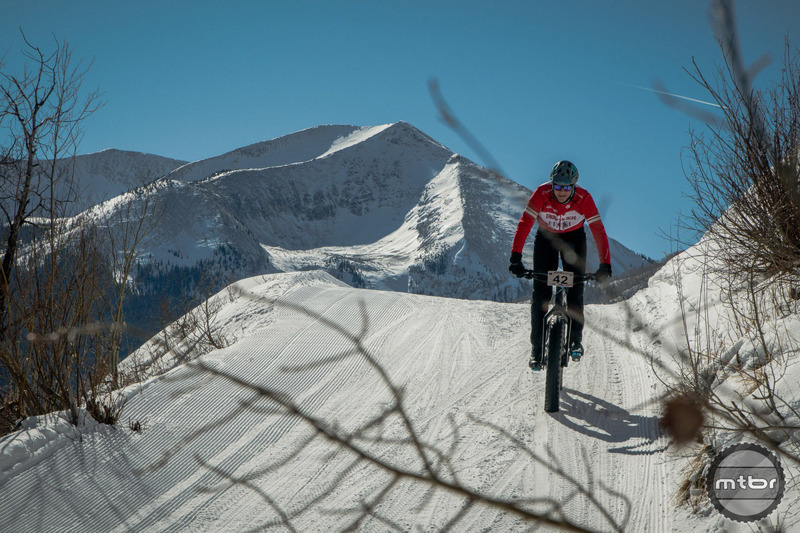 The Borealis Bikes-sponsored event kicks off with the traditional North Village tune-up race on Thursday at Mount Crested Butte. Located about 3 miles past Crested Butte Mountain Resort, this is among the most scenic locales in the entire valley, with spectacular views of Mount Axtell, Gothic, and Mount Crested Butte among others. After the race (and throughout the event) plan to enjoy lots of sudsy goodness from Upslope Brewing, official “hydration” sponsor of this fattie powwow. Here’s a look at last year’s hoedown. This year’s Friday Demo Day at North Village is next. Open to all from 10 a.m. to 3 p.m., stop by to check out and test ride the newest fat bikes and gear. Borealis, Specialized, and Why Bikes will be among the exhibitors showing off their wares. That’s followed by Saturday’s big show, which this year is slated for a new course that includes some of the traditional Crested Butte Nordic Center trails, but has its start/finish area further north of town on the golf course at the Club of Crested Butte. The total loop is approximately 8 miles and there are plans for a singletrack section near the end. Besides new challenges, the change in venue includes indoor access to the club, so riders will have a place to change and warm-up before and after the race. You can even watch some of the race from the Club’s deck — and the surrounding scenery is truly jaw-dropping. Finally, comes Sunday’s Townie Crit, which is open to all bikes, fat or otherwise. This new 45-minute event will go down on the streets and alleys of Crested Butte, looping around the famed Colorado mountain town. Expect minimal seriousness and maximum custom-wearing shenanigans. The fun race starts at 11 a.m. Then there’s a “pro” affair at noon and an after party at the Brick Oven Pizzeria, which has the best beer selection in town. Check out this recap and photo gallery from the 2018 Fat Bike Worlds. To view the full event schedule and registration info, head to www.cbchamber.com. You can also go directly to the reg page at fatbikeworlds.itsyourrace.com. An all-in pass runs $203, while just the Saturday race is $129. 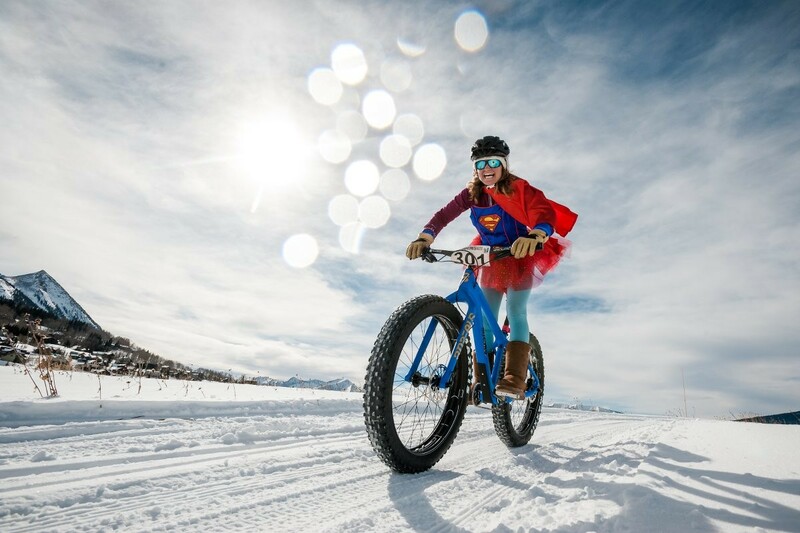 The Angry Singlespeeder: Fat Bikes. Meh.